Dark Wolf's Fantasy Reviews: Table of contents - "The Grimscribe's Puppets" edited by Joseph S. Pulver, Sr.
Table of contents - "The Grimscribe's Puppets" edited by Joseph S. Pulver, Sr.
Two projects of Joseph S. Pulver, Sr. picked my interest last year, both two anthologies dedicated to two original and very interesting writers, Robert W. Chambers and Thomas Ligotti. After the publication of “A Season in Carcosa”, the tribute anthology for Robert W. Chambers’ “The King in Yellow”, this year Joseph Pulver will release “The Grimscribe’s Puppets”, a collection of stories dedicated to one of the masters of weird fiction, Thomas Ligotti. “A Season in Carcosa” proved to be a very captivating project and it features some great stories, but that will be discussed later since my review of collection is almost ready. “The Grimscribe’s Puppets” promises to be an equally fascinating anthology, with some of the authors published in “A Season in Carcosa” making an appearance here too. Gemma Files, Joel Lane, Michael Kelly, Simon Strantzas and John Langan were among the authors who attracted me to “A Season in Carcosa”, but with the addition of Kaaron Warren and Paul Tremblay and yet another excellent cover artwork bearing Daniele Serra’s trademark, “The Grimscribe’s Puppets” became even more interesting for me. 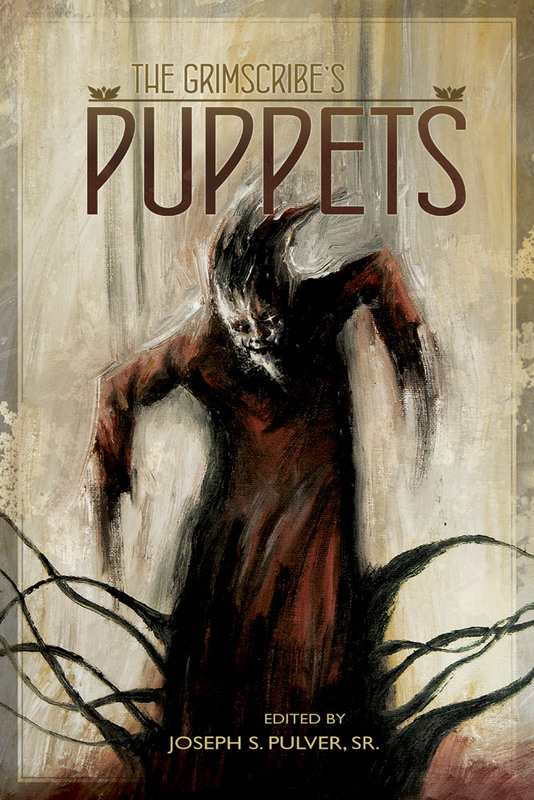 I am not certain when Joseph Pulver’s new anthology “The Grimscribe’s Puppets” will be out, but I’ll make certain to pick a copy of the collection once Miskatonic River Press releases it.